2 What is Nail Fungus? 3 Why Does It Develop? 4 Who Gets Nail Fungus or Causes of Nail Fungus? In this article of Homeo Expert, we shall discuss the best homeopathic remedies for nail fungus. First of all, we need to have an overview that what is nail fungus. Nail fungus is a common condition which can start as a spot, at times, it is yellow and sometimes it is white. 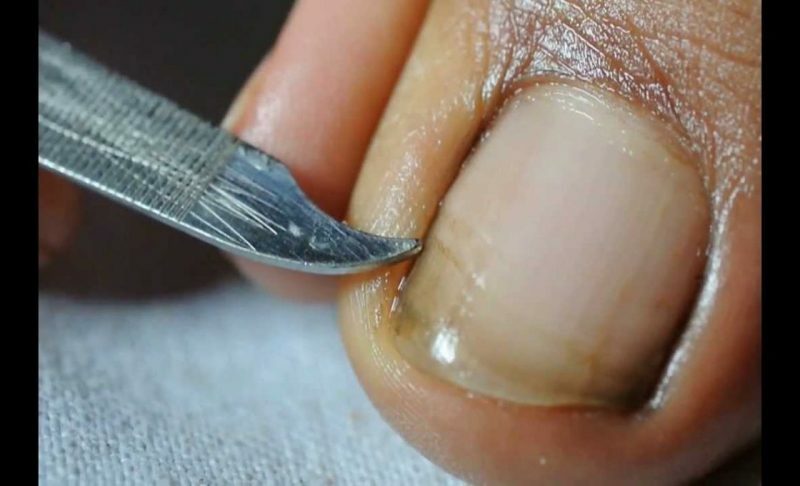 It occurs at the tip either on your fingernail or toenail. Additionally, we can also say that it can affect other parts of the body as well. When it starts to overgrow, it leads to an infection. These infections develop over time, therefore, it is a subtle move if you notice them immediately. We can use a medical term for it that is, onychomycosis. This condition can cause pain, discomfort and irritation in the infected person. Basically, fungi develop in warm and moist environments, so this type of environment is suitable for them to overgrow. If this fungus infects the areas between your skin of the feet and your toes, we refer to it as athlete’s foot. According to the research of AAD (American Academy of Dermatology), these fungal infections can affect toenails easily as compared with fingernails. It is due to the fact that your toes are limited to your shoes and it gives them moist and warm environment. Additionally, if you get pedicure and manicure at a nail salon, you ensure that their tools are disinfected. If the staff has not disinfected the tools, it will spread fungal infections. Who Gets Nail Fungus or Causes of Nail Fungus? It develops more often in men rather than women and it occurs in adults more than children. If your family is often having these fungal infections, there is a chance you will also get it. Elderly people can easily get this fungal infection due to their poor circulation. Wash your hands and feet on a regular basis. Also, wash your hands after touching an infected nail. Silicea is at home in treating Nail Fungus and it is suitable for those patients who have cold palms and feet. Additionally, their nails are disfigured and infected as well. The sweat from armpits, hands and feet is full of bad smell. The patient may feel a sharp pain in the finger and toenails. This pain is unbearable and the patient becomes irritable and restless in this condition. The remedy is suitable for those persons whose nail is growing inwards and there is a pus and flesh in it. Homeopathic remedies for nail fungus provide a safe and successful solution and they do not have any side-effects. Antimonium Crud is useful in those cases where the infections of the nails are accompanied by thick horn-like callosities( the hard part of the skin). Therefore, we can conclude that it is suitable for horn-like warts on hands and sole. It is also suitable for patients who have dry skins that itch. The nails of the patient are easily breakable. The shape of the nail becomes distorted and new shape grows out of it. In such cases, the nails of the patient grow slowly and the patients get irritated easily. This homeopathic medicine works fine in order to treat toenail fungus. We suggest this medicine in those cases where the inward growth of nails is found including toenails. The tissues are also swollen and the nails tend to ulcerate. Graphites is useful in those cases in which the patient cannot bear to be touched and the pain is also deep-rooted. The nails are very sore and painful in this condition. It is also helpful in nail infections where we find the symptom of cracked fingertips. Hepar Sulf is also one of the best homeopathic remedies for Toenail infections or Fungus with Pus. Hepar Sulf is also beneficial for those cases in which there is a symptom of pus formation. Additionally, we can also use calendula in this regard according to the symptoms.